How Much Cardio Should I Do Per Week In The UAE? How much cardio should you be doing per week? Cardio based exercises are a great way to get your heart rate up and also lose weight but how much cardio should you be doing per week? Like to do, or want to do more cardio based workouts in Dubai, Abu Dhabi or Sharjah? Training routines that include cardio are a staple of most peoples fitness regimes in the UAE. However, can you do too much cardio in a week? What are the downsides to cardio exercise training? Cardio fitness in the UAE is such a varied topic, overall though what are the main objectives when doing cardio based workouts and what benefit does cardio based training provide when it comes to health? When the body receives a regular stress, it adapts and becomes stronger. People start to get tired less, doing more work and in the process, they become more energetic. Cardio helps to improve metabolism to cope with energy needs, increasing with increasing physical activity. The body is informed of the signal to burn more in order to maintain its efficiency. When your ideal body weight is achieved, regular training of the cardiovascular system helps to maintain weight at the desired level. For the average person in Abu Dhabi how much time per weeks should they be spending on cardio based exercises? That would depend on the goal and athletic level of the person. If the goal is heart training, that training should be intense but short. Range of heart rate (85% of the maximum). Duration – 15-20 minutes. This can include cardio exercises from a regular workout, but perform them with increased activity. For example, running, rowing, step-aerobics, etc. With a high-intensity load, the body burns a large number of calories. To get more energy, it uses the reserves of glycogen and ATP, for burning fat it is not the most effective way of cardio. If the goal is to reduce % fat, then you need to increase the training time to 40-60 minutes but reduce the intensity (60% of the maximum). The intensity and duration of the session depends on the level of physical fitness. If you are a beginner and / or your weight is above the norm, you can simply choose walking. As progresses the duration and intensity of training it can be increased. The maximum is calculated as the age minus 220. If the client is beginner, you need to start with only 10-15 minutes of sessions with low intensity. Three days a week, high-intensity cardio or three times a week low-intensity cardio in the beginning will be enough. With increasing physical endurance, the number of training days can be increased. If you get the help of a cardio expert personal trainer in Abu Dhabi you can benefit from their knowledge on how much to train and how often. 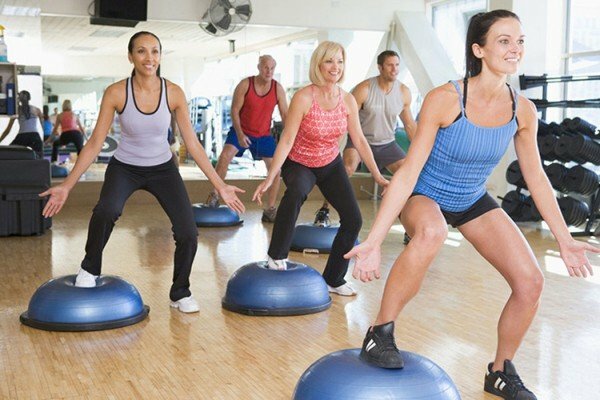 As a personal trainer in Abu Dhabi who offers cardio based training do you think people can do too much cardio and if so why? In the UAE cardio exercises are now very popular. However, it should be explained that the cardio exercise is directed primarily to improve the cardiovascular systems of the body. Thus, cardio fitness does not promote muscle growth, and with long cardio training it can reduce muscle mass as you lose weight. Ideally, you need to pay attention to both – cardio fitness and exercises with free weights. It should be noted that cardio fitness often causes re-ignition in athletes. To prevent the state of re-registration, first you must listen to your body. It is necessary to begin training with the desire to train and the feeling of muscle fatigue to new level of exercise. Does increasing cardio exercise help with weight loss in the UAE and how if so how do cardio workout routines actually help you lose weight? Most people in the UAE think about exercises for burning fat, they think about cardio workout. But cardio is not just running. These are exercises that use large muscle groups, namely your legs, or your arms and legs together. Here are some types of cardio: Walking, Running, cardiovascular equipment (steppers, treadmills, exercise bikes, elliptical, rowing, riders), stair walking, Cycling, Rowing, Swimming, Gymnastics and sports that require a lot of energy (boxing, basketball, badminton, tennis, hockey, football). If the exercise is of moderate intensity, your optimal duration will be 30-45 minutes. If the exercise is of low intensity, it is likely that the duration will be 45-60 minutes. Each of these exercises can burn a similar amount of calories due to different levels of intensity. And instead of fat in the fire of metabolism, the blue flame burns protein amino acids. After two hours of cardio, the body loses up to 90% leucine (an amino acid that predetermines muscle growth). An example – two doughnuts – will replenish your body with 600 kcal which equal to hour running on the treadmill. Thus, solving the problem of fat reduction – diet is in the first place. For people short on time can you provide examples of your favourite cardio based workouts that could be done daily or weekly? If you want to get fit in Dubai or Abu Dhabi but you have limited time. Weight lifting is generally considered not to be a form of cardiovascular fitness and instead thought of as a way to build muscle. In fact though, depending on the way you weight lift this can be either. Personally, if I want to get something of an aerobic workout from weight lifting, I simply drop the weight down and perform more repetitions at a faster speed. This will also help body to produce many of the chemicals useful for weight loss, and will help your body to burn extra fat just in order to maintain that muscle you’ve built. My favorite cardio based workouts in the UAE – training with light weights in a large number of repetitions. Exercises for different muscle groups are performed without break. During workout, I recommend to look on the heart rate. The ideal heart rate during cardio training should be 60-80% of your maximum heart rate (220 minus your age). Cardio based workouts can be a great addition to your personal trainer regime and can also help you lose weight fast. Andrey is an expert when it comes to cardio fitness and weight loss in Abu Dhabi. 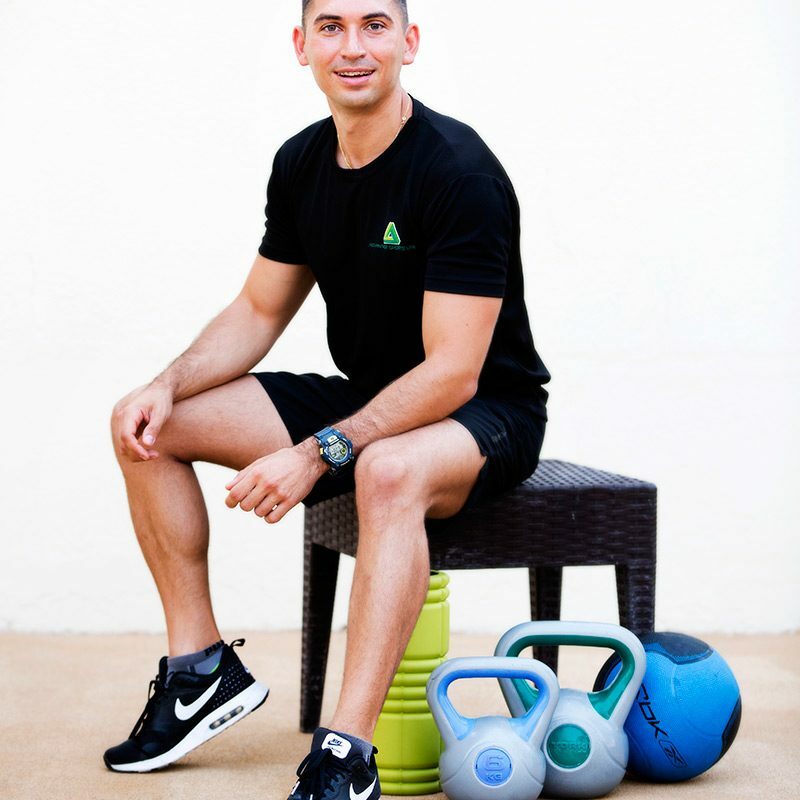 You can view Andrey’s full Abu Dhabi, UAE personal trainer profile by clicking the link below.